As we enter 2019, there is a new majority in the House of Representatives. The various committees will have new, Democratic majority leaders, members and staff. As a key voice for art dealers, museums, and collectors, ATADA’s advocacy work must continue to ensure that legislators understand the issues related to collecting and trading in tribal art. A primary concern: despite acceptance of alternative legislation forwarded by ATADA together with tribes in 2018, the harmful STOP legislation is likely to be re-introduced this session. We especially look forward to working with the first Native American Congressional representative from New Mexico, Representative Deb Haaland, a registered member of the Laguna Pueblo. ATADA needs YOU to contribute items for auction to replenish the Legal Fund. We accomplished much this past year. We halted two different bills that would have harmed art dealers, collectors and museums. Already in 2019, Congress is swamped with demands for more damaging legislation. Even with reduced fees, combating phony claims about ‘stolen’ art and money-laundering is costly, but the cost to you of failing to act could be far higher. We need your help to keep you and your collections safe from government overreach. We are asking each of our members to contribute at least one item worth in excess of $500 for an upcoming series of auctions to benefit ATADA. Every ATADA Board Member has committed to donating: we need you to do the same. Public education and legislative action will be more important than ever in 2019. Please act today - so we can meet the challenges ahead. ATADA is a 501(c)(4) organization; gifts to ATADA and the ATADA legal fund are not tax deductible. ATADA’s tax status enables it to work directly in Washington and elsewhere to make real change for your benefit. Facts, as many wise folks have pointed out, are stubborn things. Words are like that, too. Whether used to clarify or obfuscate, words are often all we have. We rely on them, and when they tell us nothing or next-to-nothing they may sow confusion. I had cause to ruminate on that point recently while writing an essay on the Native American Graves Protection and Repatriation Act (NAGPRA), which became U.S. law back in 1990, and has reverberated throughout the tribal art world ever since. Thank you for making ATADA the premier tribal art organization in the U.S.! We need your continued support to protect you, your business, and your collections in 2019. Here is just some of what we accomplished in 2018, thanks to you! We halted passage of STOP, the Safeguard Tribal Objects of Patrimony Act, S. 1400, for the 2018 legislative session. STOP made it official U.S government policy to encourage the return to tribes of all “significant objects, resources, patrimony, or other items… affiliated with a Native American Culture,” including jewelry, ceramics and other legal possessions. Recent statements by the Association on American Indian Affairs have called for museums not to exhibit and auction houses to cease sales of a wide range of Native American objects in commercial circulation, unless exhibition or sale is approved by tribes. ATADA, the largest U.S. organization of dealers in antique and contemporary Native American and global ethnographic art, objects strongly to these statements, which we believe will harm the legitimate art trade, Native artisans, and the American public. New Mexico Congressman Steve Pearce has introduced a bill, H.R. 7075, the “Native American and Native Hawaiian Cultural Heritage Protection Act of 2018,” that will provide tribes with assurance that cultural items obtained in violation of U.S. laws will not be exported beyond the reach of legitimate tribal claimants. ATADA is working for you! Help us continue to defend dealer and collector rights. The key purpose of the Pearce bill is to halt the exportation of Native American and Native Hawaiian items obtained in violation of ARPA, NAGPRA or the 1906 Antiquities Act. H.R. 7075 requires certification and review (or self-certification for low value shipments) for export of all “covered items” which are published in a list in the Federal Register; the exporter must affirm that to the best of his or her knowledge, the objects are not acquired in violation of any U.S. law. Under U.S. law, the vast majority of Native American and Native Hawaiian objects, including many culturally important items, may be lawfully owned by individuals and institutions. Others may not: human remains may never be sold, nor items taken from federal or Indian lands without a permit. Also, certain religiously important objects and items communally owned that are categorized as cultural patrimony under the 1990 Native American Graves Protection and Repatriation Act may be claimed by tribes from museums that hold them, if the museums receive federal funding. 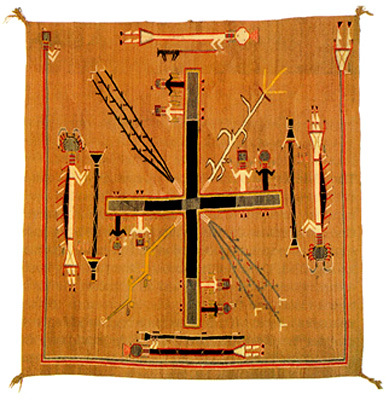 As ATADA noted in its release, “Native American art has been collected for over a century, and holds pride of place in American museums and private collections.” ATADA stated that tens of thousands of small U.S. businesses and tribal enterprises are dependent on the legal trade in Native American art and antiques. It stressed that international and domestic cultural tourism, especially to New Mexico and the Southwest, supports hundreds of thousands of jobs and makes up at least 10% of New Mexico’s economy. H.R. 7075 states its intent to “facilitate the export of lawfully possessed Native American and Native Hawaiian items.” This purpose sets the Pearce bill apart from another bill that is pending in the Senate, known as the “STOP Act,” S. 1400, which fails to place the burden of proof on the government to show an object is unlawfully acquired. The proposed STOP Act would also make it official government policy to “voluntarily” return all cultural items to tribes. How is Due Process Protected? H.R. 7075 and other bills dealing with Native American cultural items previously introduced in both House and Senate have been bedeviled by an intractable problem: how do you write a bill making it illegal to export objects because they are unlawfully acquired under existing U.S. laws, when the public has no way to specifically identify what objects are unlawful to export? For example, under the Archaeological Resources Protection Act (ARPA), what makes an item unlawful is not based on what it is but instead on where it was found - whether it was taken without permission from tribal or federal lands. For items in circulation in trade for decades, this information is almost never known. Under NAGPRA, it is not only essential to know when an object was originally acquired - but tribes are often unwilling to identify what items are sacred or which they consider inalienable cultural patrimony. The tribes treat this as privileged information. However, by setting forth remedies short of seizure and by penalizing “bad actors” who try to export items knowing that they were illegally acquired, H.R. 7075 attempts to address the absence of due process present in other bills. Which Items Will Require Certification? It remains uncertain which types of Native American items will actually require export certification under H.R. 7075. The bill sets no value threshold, or threshold related to rarity or “importance,” unlike export certification systems in Canada, Europe, Japan, or the UK. Therefore, the breadth of the list of “covered items” which will be subject to export certification will determine how great a financial and time burden is placed upon commercial and personal exports of Native American objects. This list was not defined in the bill. H.R. 7075 does acknowledge that objects made for commercial purposes “generally” do not qualify as a covered item requiring certification. A further “purpose” confirms the authority of the President to request agreements or “provisional measures” subject to the limitations of Article 9 of the UNESCO Convention on the Means of Prohibiting and Preventing the Illicit Import, Export and Transfer of Ownership of Cultural Property to obtain the return of objects obtained in violation of ARPA, NAGPRA, and the Antiquities Act. This may assist the tribes in obtaining return of Native human remains still in foreign museum or scientific collections. How will exports of Native American and Native Hawaiian goods work? Exporters of all Native American and Native Hawaiian goods that are listed in the Federal Register as “covered items”, regardless of value, must submit an online application for export certification though the U.S. Customs and Border Protection’s AES online export system. The proposed legislation will require only a limited AES filing for “covered items” of less than $2500 value, and an export certification document will be generated immediately on self-certification by the exporter. However, the legislation does significantly broaden previous export requirements. Since July 2017, only commercial shipments of goods totaling $2500 in value or more have required online AES filings. If a shipment that includes native American or Native Hawaiian “covered items” is valued at $2500 or more, there will be a 6-day time period for review of the proposed export by U.S. Customs and Border Protection and the Department of the Interior (which will provide information on the items being exported to tribes for review). With notice to the exporter, U.S. Customs and Border Protection can extend the review of an application for certification for up to 30 days if credible evidence of a violation of law is provided which requires investigation, after which certification will be either approved or denied. In its release, ATADA stated that it was “proud that the principles of ATADA’s Voluntary Returns program, which brings important items of religious and ceremonial use back to the tribes, have inspired a similar federal program.” H.R. 7075 sets up a completely voluntary returns program for items that anyone wishes to donate to a tribe of origin. The voluntary returns program is designed to cover a broad range of items desired by the tribes, regardless of whether the items are held in violation of any U.S. law. H.R. 7075 establishes two working groups as advisers/consultants for the voluntary returns program, one with tribal members and one that will include collectors, dealers and museums. The bill will facilitate returns by making “provision for tax documentation of deductible gifts of Native American items to Native American tribes and Native Hawaiian organizations,” which some tribes have been unwilling or unable to do on their own. The bill also amends ARPA, NAGPRA, and the Antiquities Act, which until now have directed returns of all seized or forfeited items to the federal government, to permit such items to be returned to tribes. Another provision would allow a Native American tribe or Native Hawaiian organization to direct the Department of Justice to halt a legal action regarding a sale of an item (which might facilitate returns, particularly from overseas sales). 1. The bill requires that an exporter have knowledge that an object was obtained in violation of ARPA or NAGPRA for the exporter to be subject to penalties. 2. There is no expansion of ARPA or NAGPRA except to enable returns of forfeited objects to tribes as well as to the federal government. 4. The bill states that objects made for commercial purposes generally do not qualify as a covered item. 5. All covered items require certification, but items under $2500 may be self-certified by filing an attestation form online through the U.S. Customs’ online AES system with immediate issuance of a certification. 6. All covered items or groups of items $2500 or over require full processing through the AES system, certification shall be issued within 6 days. 7. With notice to the exporter, U.S. Customs and Border Protection can extend the review of an application for certification for covered items over $2500 for up to 30 days if credible evidence is provided which requires investigation, after which certification shall be approved or denied. 8. A “picture” of the covered items must be submitted with the application for certification for all items, regardless of value. The process for submission of a picture/photo is not determined. 9. Information on the covered items included in the filings will be made available by the Secretary of the Interior to Native American tribes and Native Hawaiian organizations via a secure website or other method in compliance with AES procedures. 10. Denial of export certification does not in itself enable seizure or in any way affect the legal status of an item under existing United States law. 11. Whoever seeks to export a covered item without a required export certification but voluntarily returns the covered item to the Indian Tribe with a likely cultural affiliation prior to active investigation shall not be prosecuted for such violation with respect to the covered item. The process of obtaining an export certification does not qualify as active investigation. 12. Any covered item that a person is attempting to export without an export certification shall be subject to seizure; a covered item seized under this clause for which credible evidence does not establish within 60 days that it was obtained in violation of U.S. shall be returned to the exporter but shall not receive an export certification. 13. If credible new evidence is provided that indicates a covered item that received an export certification was obtained in violation of ARPA, NAGPRA etc., the certification can be revoked before export; if discovered after export, the export can be revoked only after seeking court approval. 14. If the U.S. Customs and Border Protection denies an export certification, issues a Detention Notice, or seizes a covered item, the applicant shall, upon request, be given a hearing on the record. The provisions of 18 U.S.C. 983(c) shall apply to any forfeiture. 15. An Indian Tribe or Native Hawaiian organization may submit a request to the Secretary of State that the US become involved in halting the international sale of Native American cultural items obtained in violation of U.S. law. Within 15 days the DOS shall contact the foreign state and the Department of Justice to transmit the request. In the case that an Indian Tribe or Native Hawaiian organization submits to the Attorney General a request that the Attorney General cease pursuing legal action with regard to the sale of the Indian Tribe’s or Native Hawaiian organization’s item, the Attorney General shall promptly cease pursuing such legal action. 16. The Secretary of the Interior shall establish a federal framework for voluntary returns of items to tribes and convene working groups consisting of representatives of Indian Tribes and Native Hawaiian organizations, and a working group consisting of Native American and Native Hawaiian art dealers, collectors, and museums to advise the Federal Government on voluntary returns. However, trade in objects matching these descriptions is not unlawful – only trade in items of these types that were unlawfully obtained after passage of each statute. This article is published concurrently on the Cultural Property News website. This article and all other articles published by Cultural Property News or by ATADA are for information purposes only. They are not legal advice. The United States has imposed tariffs reaching 25% in 2019 on $200 billion dollars of Chinese goods, in a dramatic escalation of the Trump administration’s trade war with China. However, there was good news for the art community, as works of art, collector’s pieces, and Chinese antiques were among the very few items withdrawn from the tariff list. Mark Dodgson of the British Antiques Dealers Association noted in a submission to the USTR, “The federal government of the United States does not tax the import of antiques. This enlightened attitude toward the art and antiques market has helped the United States to become the largest art market in the world. Together with other U.S. and international arts and art trade organizations, including the British Antiques Dealers Association, CCP and GHA provided written testimony to the United States Trade Representative (USTR). Tompa spoke in person to present these views at the hearings on the proposed tariffs; organizations representing over 5,000 art dealers worldwide submitted comments to the reviewing committee. Chief among the points made were that a tariff on antiques would please, not punish, the Chinese government and reinforce its global dominance of the Chinese art market. U.S. import restrictions already cover virtually all Chinese art and artifacts from the Paleolithic through the Tang period imported from China, as well as monumental sculpture and wall art over 250 years of age. The U.S. market in antique Chinese art is therefore dependent upon sourcing Chinese art from older collections held worldwide, which would also have been subject to the proposed tariffs. The U.S. market for contemporary Chinese art also had a big win, as the proposed 25% tariff would have made it very difficult for U.S. dealers to compete in the global modern art market. Tariffs of 10%, rising to 25% in 2019, were announced by the USTR on 5,745 of the 6,031 tariff lines on the list of Chinese imports initially proposed. The first tariffs will go into effect on September 24, 2018. The import categories removed from the tariff list included the following items of particular concern to museums, collectors, and the art trade. Paintings, drawings (o/than of 4906) and pastels, executed entirely by hand, whether or not framed. Collages and similar decorative plaques, executed entirely by hand, whether or not framed. Original engravings, prints and lithographs, whether or not framed. Original sculptures and statuary, in any material. Postage or revenue stamps, stamp-postmarks, first-day covers, postal stationery, and the like, used or unused, other than heading 4907. Collections and collectors' pieces of zoological, botanical, mineralogical, anatomical, historical, archaeological etc. interest. 9706.00.00 Antiques of an age exceeding one hundred years. China has a billion-dollar annual internal market in art of all periods that includes the same kinds of antiques barred from U.S. import. A comprehensive study by Artnet and the China Association of Auctioneers showed that after the enactment of the original Memorandum of Understanding imposing import restrictions on ancient and antique Chinese art in 2009, the auction market for art and antiques in mainland China experienced 500% growth between 2009 and 2011. In 2011, the Chinese auction market surpassed all other countries in the world. Even in 2014, the year after the MOU’s first 5-year renewal, the fastest growing import into China was art, antiques, and collector items, which increased at a staggering 2281% rate. The busy show season is a time for ATADA members to be especially alert to legal issues. Please help others to be aware the legal rules and ethical guidelines that make for a responsible art market. 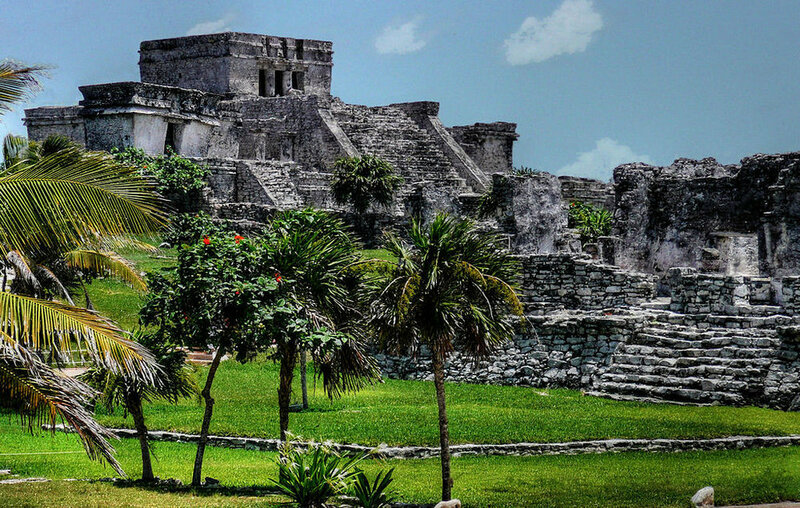 The Members of ATADA undertake not to purchase or sell objects until they have established to the best of their ability that such objects were not stolen from excavations, architectural monuments, public institutions, tribal communities, or private property. ATADA shall work respectfully with tribal communities regarding the voluntary return of legally collected items to the tribes. ATADA supports the voluntary return of items known to be of important current, sacred, communal use to the Native American tribal communities from which they came, through the ATADA Voluntary Returns Program and other voluntary projects. The Members of ATADA undertake not to acquire, display, or sell items known to be of important current sacred, communal use to Native American tribal communities. The ATADA Board shall establish guidelines with respect to specific items deemed of important current sacred, communal status and make those guidelines available to all ATADA members. ATADA does not regard items made for commercial or individual use by Native American artisans as sacred or ceremonial, regardless of age. See the ATADA Guidelines Regarding the Trade in Sacred Communal Items of Cultural Patrimony. Why did ATADA establish internal guidelines? First, it’s the right thing to do. Second, responsible business behavior makes for a safer, more secure marketplace, and gives consumers the confidence they need to invest. Checking the provenance of objects and asking for their ownership history – in writing - is good business practice and the key to due diligence. No one, collector or dealer, wants to potentially spend years of their lives and hundreds of thousands of dollars defending themselves against a charge of trading in a dodgy object – simply because they did not take the time to investigate it. The ATADA legal team is proud of its accomplishments. If ATADA was not working hard to protect your interests in Washington, then US Customs could today be asking every foreign tourist coming home from vacation to prove that their Indian art purchases weren’t sacred items. US museums would be worrying that there was a new, completely open-ended ‘standard’ for tribal claims outside of NAGPRA. In May, the ATADA board met in Washington DC in order to meet with legislators to discuss the impact of the 2017-2018 Safeguard Tribal Objects of Patrimony Act (STOP), S. 1400 and H.R.3211. ATADA has outlined the bill’s flaws many times, through testimony and direct contacts with legislators –how it discourages all trade in Indian art, harming artisans and local economies, will destroy value in legally-owned private property, and has a built-in lack of due process that makes it illegal to export objects without identifying what those objects are, and places the burden of proof on individuals to show objects are lawfully traded. Board members Bob Gallegos, Kim Martindale and John Molloy met with eight legislative offices in person in order to bring home their objections to the STOP Act. They also raised museums’ concerns that STOP would undermine museum protections under NAGPRA. New Mexico Congressman Steve Pearce personally discussed innovative alternatives to STOP with the ATADA board members. ATADA remains convinced that the best way forward is to work with legislators, tribal communities, collectors, art dealers and auction houses to find alternatives to STOP that will permit continued commerce in legal items not subject to ARPA or NAGPRA. Almost all of the legislative staff were responsive. All expressed appreciation for ATADA’s landmark Voluntary Returns Program, which has turned out to be more effective than any federal enforcement actions. ATADA remains focused on bringing realistic, practical solutions to the table, rather than having a politically expedient but unworkable solution forced on collectors and the trade. However, the future of STOP may have more to do with how November elections shift power in Washington than on finding a positive way forward for all constituencies. ATADA will continue its campaign to raise awareness in Washington of the dangers of STOP, and to inform and educate the public. In June, ATADA Board Member Kim Martindale coordinated bringing letters to legislators from six owners of major Indian shows opposing STOP. Keeping your Senators and Representatives informed is essential! An anti-money laundering bill now in the U.S. Senate is specifically directed at the art trade. Congressman Luke Messer of Indiana says that HR 5886 is intended to “reduce international money laundering and crack down on terrorist organizations like ISIS.” Never mind that there is no evidence that a single artwork sold in the US has had any connection with terrorist activity. HR 5886 would apply the Bank Secrecy Act to dealers in art and antiquities. Regulation could require U.S. art and antique dealers with as little as $50,000 in annual purchases/sales to report transactions to the Department of the Treasury Financial Crimes Enforcement Network (FinCEN), to collect personal information from clients, and comply with a variety of burdensome regulations. File IRS/FinCEN Form 8300, Form TD F 90-22.13, and Form 105 to establish an AML program. The regulations for the art industry are not specified in the bill, but a release from Congressman Messer’s office suggests that they will be similar to those applied to the category of dealers in precious metals, stones, and jewels. ATADA has joined other arts organizations, including CINOA, the largest global art and antiques trade association, in opposing HR 5886. ATADA has submitted written comment to the House Financial Services Committee contesting the addition of art dealers to FinCEN requirements. Chang Hsüan, Women making textile, Indian ink and color on silk, Boston Museum of Fine Arts, Wikimedia Commons. One thing that makes this proposal strange is that tariffs on antiques will not punish China. They will actually enable the Chinese government to strengthen China’s near monopoly on Chinese antique and ancient art. The proposed tariff on Chinese art only punishes U.S. collectors, art businesses, and art museums – not the Chinese government. Ten years ago, the Chinese government asked the U.S. to impose import restrictions on art and antiques up to 1912. This request was granted, but only for art up through the Tang period. China has since used these U.S. restrictions to build its art business into the largest in the world, and to expand its domestic market in the same antiquities that currently cannot be imported from China into the U.S. Placing tariffs on art, antiques, and other cultural materials would also be a major trade policy change for the United States. Almost 90 years ago, Congress exempted antiquities and art objects made before 1830 from duty in order to encourage the free flow of artistic and cultural materials into the U.S. under the U.S. Tariff Act of 1930. A 1966 law confirmed the antiques exemption and added as exempt ethnographic items that were 50 years old or older. Ever since then, books, art, collectibles, and antiquities have entered the U.S. duty free. The proposed China tariff would change that U.S. cultural policy for the first time. In May 2018, the State Department’s Cultural Property Advisory Committee heard testimony on the renewal of the U.S.-China Memorandum of Understanding mentioned above. It also considered a new agreement on cultural property with Ecuador. Proceedings at CPAC are extremely secret. Months after a CPAC review, the American public and US art dealers, auction houses, and museums will learn what the import restrictions will be, through publication in the Federal Register. The restrictions will be effective from that day of first publication for 5 years. Based on the past record of the CPAC and its State Department administrators, the restrictions on artifacts from every country are likely to be extremely broad and renewed every five years through the foreseeable future. ATADA condemns looting of any kind, from any country, but it does not support overbroad restrictions on the legitimate trade. Blanket restrictions on art from entire regions harm the U.S. public interest while doing nothing to preserve sites. ATADA has stood up for U.S. citizens’ access to art from around the world, and against agreements with source countries that don’t protect their own artifacts. ATADA is particularly concerned about U.S. support for foreign governments’ absolute control of the cultural heritage of minority peoples and indigenous populations. ATADA is working to alert Congress to abusive U.S. agreements that have given control over the historical records and tangible heritage of exiled Jewish and Christian communities to oppressive regimes in Libya, Iraq, Syria, and Egypt; it has objected to Middle Eastern governments’ claims to all of nomadic Saharan Tuareg and Berber artifacts. ATADA has also demanded that the U.S. cancel cultural property agreements with China, based on its destruction of Tibetan and Uyghur religious sites and monuments. See: ATADA’s testimony on Algeria. Will U.S. Embargo on Art of China and Tibet Be Renewed? Several ATADA legal committee members have been working with European art dealer organizations and art fairs to combat misinformation that has triggered pending European Commission legislation. These pending EU regulations would restrict import and export of items over 250 years of age by requiring either (1) documentation of lawful export from a source country or second country in which the object has been for a lengthy period (the majority of countries have no such permitting regimes) or (2) a sworn affidavit from the exporter that an item was legally exported. The requirements would depend upon the type of object being imported or exported; antique books and ‘archaeological’ materials are among the items for which proof of legal export would be required. A major problem is that an importer might have no way to know if an item was legally exported, since most cultural items have been in circulation for decades among multiple owners. Market representatives have presented independently-verified evidence showing that the assumptions on which the proposed EU regulations are premised are wrong. The cost and delay caused by the regulations could seriously damage legitimate art and antique markets, which contribute about €17.5 billion to the EU economy, and provide employment for over 350,000. The six-month delay for import license approval for artworks would keep foreign dealers from attending EU art fairs. The European Commission’s premise for requiring new regulations was the claim that there was a massive, multi-million euro (or even multi-billion euro) trade in illicit antiquities from the war zones of the Middle East. However, the most recent World Customs Organization’s latest Illicit Trade Report (2016) shows no seizures at all in Western Europe (other than Switzerland) of any looted cultural property associated with the Middle East. Important Note: ATADA cannot answer member’s legal questions, and nothing in this article or on the ATADA website constitutes legal advice. If you have a legal question, you should contact your attorney for advice.